While cleaning out, I’ve found some old art and stuff, and I’m tossing a bit of it up now. 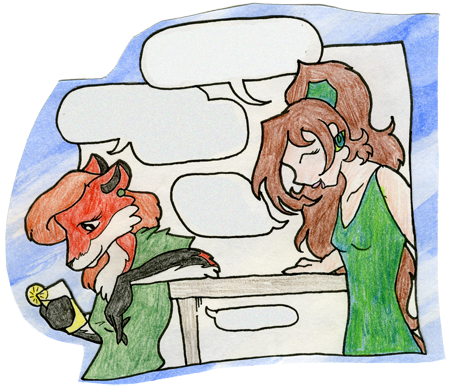 These little “caption it” frames originally came from a school project, so the text in the speech bubbles was pretty daft. Therefore, it’s up to you to figure out what the characters are saying! For those of you who didn’t see the original run of PH, the characters are Nequii (left) and Robin (right).